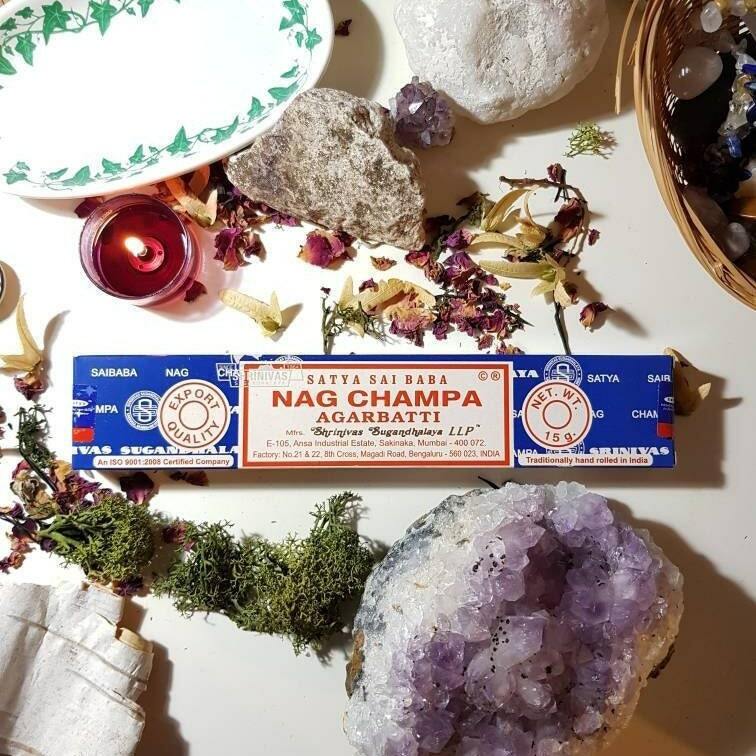 Box of 14 Satya Nag Champa incense sticks. **Warning!!! Never leave burning unattended. Keep away from children and pets. Always use a holder while burning.